YOUR NEW LOAN & BEYOND | Kroboth and Helm Mortgage Company, Inc.
What can I expect now that my loan is closed? These days, many lenders are selling the servicing of their loans, or they’re packaging them up and selling the loans altogether. This means the lender that closed your loan may not be the lender you make your first payment to. Be sure to discuss this with your loan originator during or even after closing and call K&H if you have any questions. You should get notification from your new lender in plenty of time to know who to pay by the time your first payment comes due. Can I write off any of the costs of my loan on my taxes? One of the best things about having a mortgage is the tax deductibility of the mortgage interest. Although it hurts seeing how much interest you’ll be paying over the life of your loan, think of all the money you’ll save when you file your 1040. There are other costs that you may be able to claim as write-offs on your taxes, so be sure to check out IRS Publication 936 for more details, or speak with your CPA or accountant with specific questions. How can I spread K&H? Glad you asked! 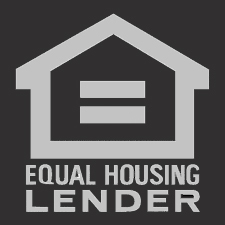 Our intention throughout the entire loan process was to do all we could to communicate with you, accomplish your goals, and do our best to create a client for life. True, you aren’t getting mortgages every day, or even every year, but we understand the power of a referral and hope that as you notice people that have mortgage needs, you will think of us first and pass along our name and number. We will do all we can be a resource for you and keep in touch; for us, this is the beginning of a relationship and not the end of a transaction. Thank you for your trust in us and for believing that everything is better with us at Kroboth & Helm Mortgage, Inc.